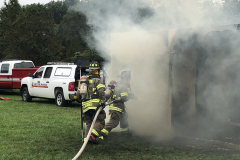 The Side-by-Side Burn Demonstration Grant Program gives fire New Jersey fire departments an opportunity to enhance fire safety education in their local communities. The $1,000 grant helps to fund the construction of a two burn demonstration units, one equipped with a fire sprinkler system and one without, to illustrate the speed at which fires can burn and the effectiveness of fire sprinklers in suppressing fires and ultimately saving lives and property. The Washington Township Fire District was one of nine Grant recipients in 2018. 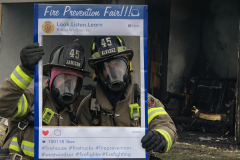 They applied for the Grant to expand their already extensive fire safety program that reaches between 12-15,000 people each year through education programs at schools, senior centers and businesses. Seczech said he was able to get a lot of support from local business and the community which items to fill the two rooms such as furniture, carpet, lamps and toys. The Side-by-Side burn demonstration was held during the department’s annual Fire Prevention Night event. West Windsor Fire and Emergency Services is a two-time Grant recipient. They had such a great experience in 2017 they applied for the Grant again in 2018 but with eyes on expanding the demonstration. They refurbished the 2017 units and built a new third unit that fit between the other two that was equipped with doors to promote the national Close Your Door campaign. The department actually conducted a total of four burn demonstrations for the Fire Prevention Week event held at a local park. “We did both the two-unit and three-unit demonstrations but separated them by a couple of hours to allow more people to attend. Some people saw the smoke from the first burn and came over to check it out, and others stayed for both. We had over 100 people attend,” noted Frueh. Fire Departments aren’t the only groups that benefit from the Grant program. Rimkus Consulting Group received the Grant to help educate their associates about the damaging effects of fire and the power of fire sprinklers to help mitigate the destruction. The National Fire Protection Association (NFPA) has found that when fire sprinklers are installed in a home, they can reduce the risk of dying by 80 percent and reduce damage to property by 70 percent. “At the fire demonstration, our experts pointed out to our audience (adjusters and attorneys) after each unit burned, how much damage each fire caused. The unit with the sprinkler system was very minor damage (approximately a couple grand in damage, mostly smoke damage), compared with the full flashover which would have been a total loss (possible full value of the house). 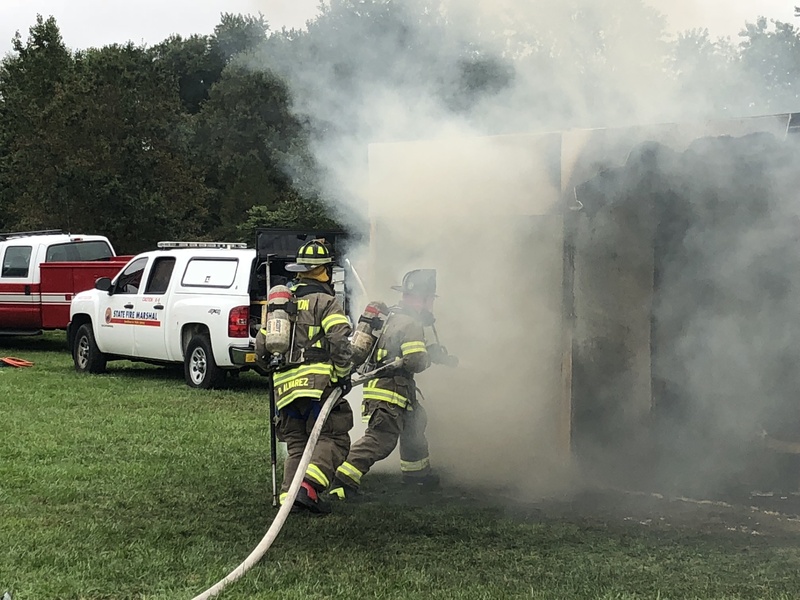 Everyone was very impressed and surprised with the effectiveness of the sprinkler system.” said David Paolisso, an insurance adjuster from Rimkus Consulting Group which conducted the demonstration at the Delaware County Emergency Training Center in Pennsylvania. In addition to supplying the funding and construction plans for the units, the NJFSAB and PenJerDel staff provide support throughout the process. “The grant coordinator Frank Ellis was great, he would check in often to see if we needed anything. The directions were very easy to follow and laid it out so easily. It is a great program and the support is there, you are not on your own,” said Seczech who noted they plan to refurbish the units and use them again this year. “It is a really worthwhile program, especially when you get your local resources to participate and get your township leaders involved and make it a big event. 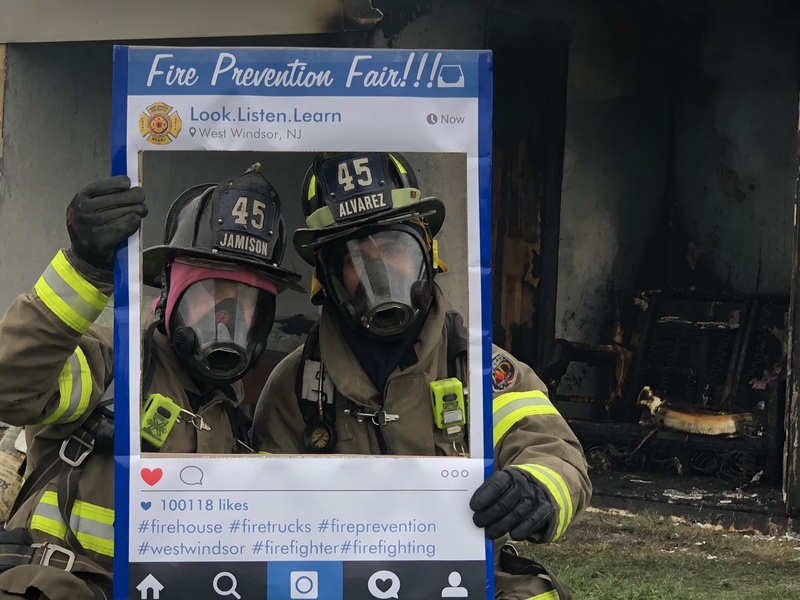 This was a great way for us to expand our public outreach and attract families and the public to come out and view and learn about fire safety,” said Frueh. Nine grants were awarded in 2018 to the following recipients: Chester Heights Fire Company, City of Orange Township Fire Department, Hawthorne Fire Department, Lumberton Fire Department, Mark I Restoration Services, Millburn Fire Department, Rimkus Consulting Group, Washington Township Fire District, West Windsor Fire & Emergency Services. The deadline to apply is August 1, 2019. For details and to submit an application click here for NJFSAB and here for PenJerDel.